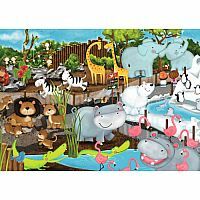 Day at the Zoo 35 piece puzzle will sure to delight your preschooler. 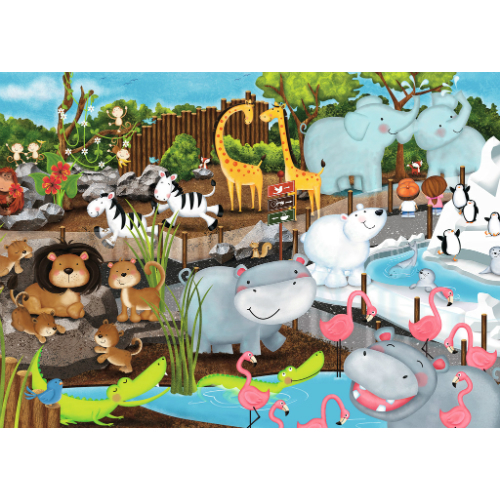 Kids love animals and this cheery jigsaw puzzle shows many of their favorite zoo animals. 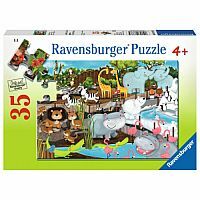 When completed this Ravensburger puzzle is approx. 8 1/4" x 11 2/3". Measures approximately: 10.75 x 7.50 x 1.25 inches..